6 June 1944 was D-Day.Operation Neptune saw the Allied forces of the UK, USA, Canada, Australia, NewZealand and Free France cross an unusually calm English Channel and begin theinvasion of Europe. The Normandy landings saw some of the most intense andbrutal fighting of the Second World War as over 150,000 Allied troopslanded across five beaches. Amidst the chaos and confusion, the death anddestruction there was little time for anything other than direct militaryengagement. 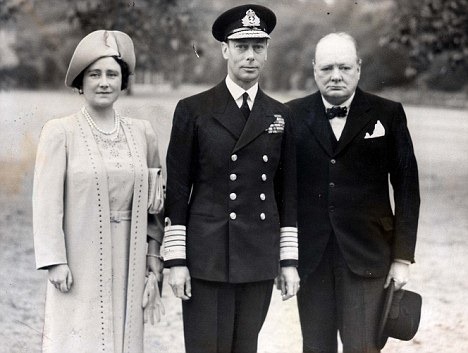 It is therefore somewhat staggering that in the days leading up toD-Day both King George VI and Prime Minister Winston Churchill madeplans to be with the attacking forces on the Normandy beaches. During their usual lunchtime audience on Tuesday 30May 1944, Churchill mentioned that he intended to watch the invasion ofNormandy from HMS Belfast. The King was enthusiastic, and suggested he wouldaccompany the Prime Minister. The King’s enthusiasm had diminished by the nextday, and was entirely reversed when Sir Alan Lascelles, his Private Secretary,voiced serious concerns over the unnecessary risk. The King set about changingthe Prime Minister’s mind, but Churchill was not easily dissuaded. His obstinacywas met with constitutional shadow boxing. As a Minister of the Crown,Churchill could not travel abroad without the King’s consent. But, came theinevitable if infuriating reply, HMS Belfast was a British warship and thus hewould technically remain on British territory. Eventually, the King consigned his frustration topaper and wrotea letter urging Churchill not to undertake the voyage. A combination ofthreats, pleading and stroking of the PMs ego were ultimately enough to makeChurchill back down. Churchill was the first of the two to make it acrossthe Channel, visitingNormandy on D +6, or 12 June 1944 on what he called his ‘jolly day’. He wasfollowed fourdays later by the King, whose 16 June 1944 voyage was defended by a flotillaof Royal Navy warships.